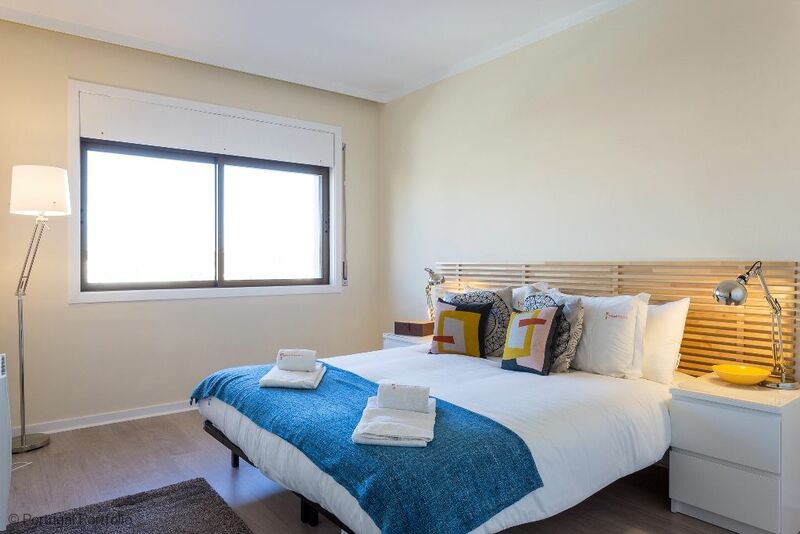 Luxury self-catering accommodation in the Centre of Cascais. Living Room and Dining Room with balcony, swimming pool and nearby gym. 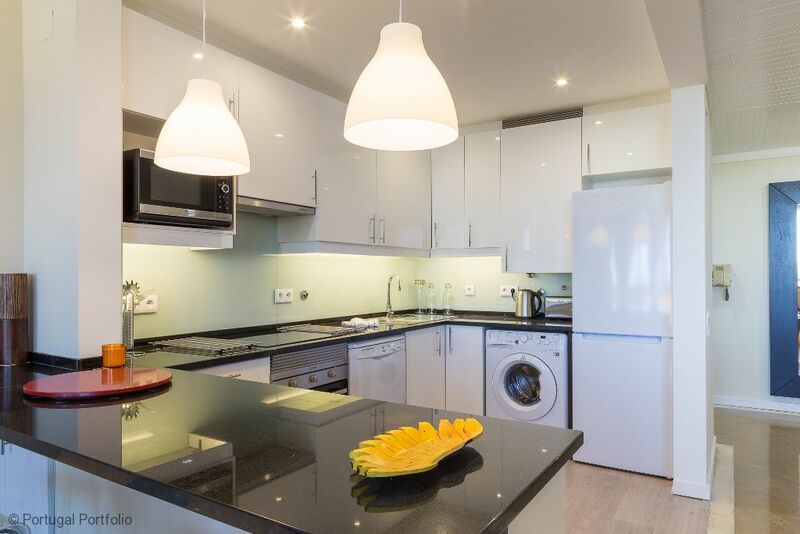 A short 5-10 minute walk to the beach, train station, shops and restaurants. Open plan kitchen with view to the ocean. Comfortable living room plus dining room with large picture windows overlooking the rooftops and the ocean. Lots of sunlight in both rooms with direct access to open plan kitchen also with view to the ocean. 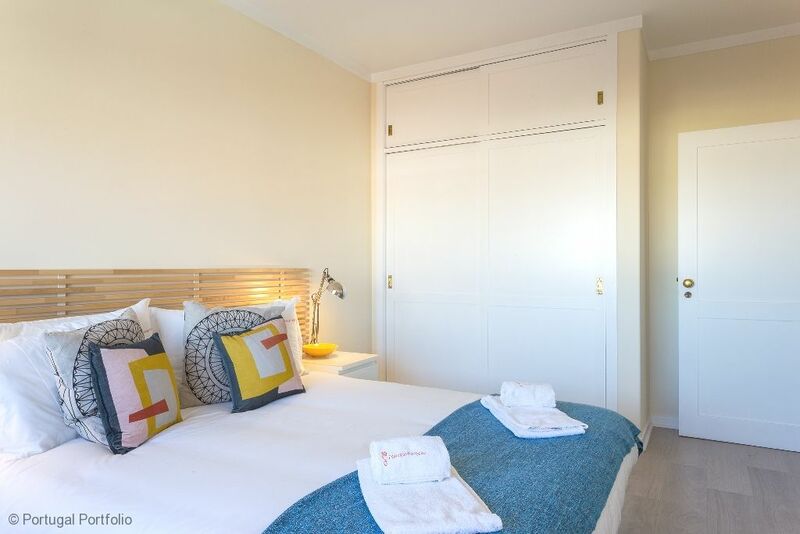 A €80 cleaning fee applies to each booking which covers linen, towels and end of stay clean. Additional cleaning can be booked on request. 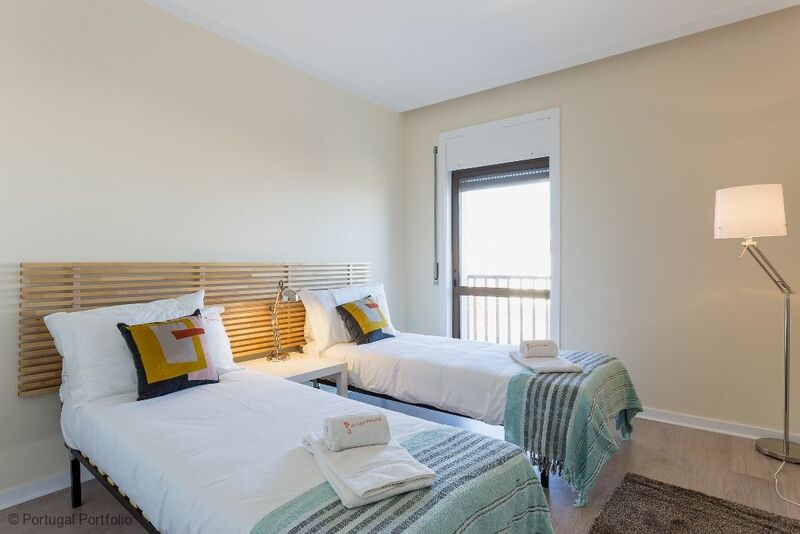 Beds in both bedrooms can be made up as doubles or as twins on early request. We offer discounted rates for monthly bookings & last minute reservations. Please ask us about special prices & discounts. 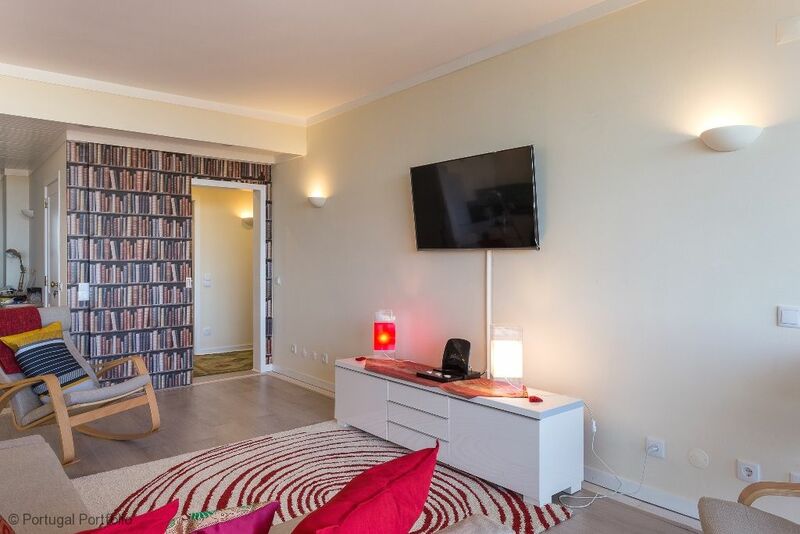 Two bedroom holiday apartment with fabulous ocean views from all rooms. 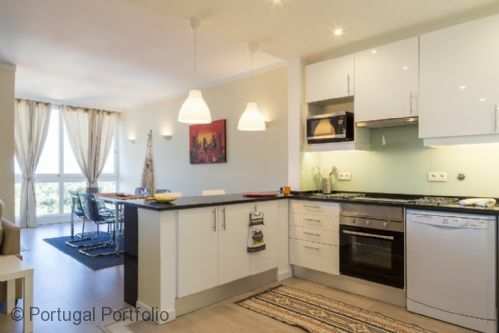 Recently refurbished,swimming pool, balcony and close to all local amenities. A 5 minute walk to the local square and a further 3 minutes to beach and train station. ​Its a 200m walk to the nearest shop & restaurants are plentiful within 150m of here. The local square is just 5 minutes walk where you can enjoy breakfast, lunch, snacks, sunset drinks or dinner as well as a variety of boutique shops, art gallery, hairdresser etc. At the station you have a bicycle stand where you can rent a bike for free (just show your passport or other photo id). 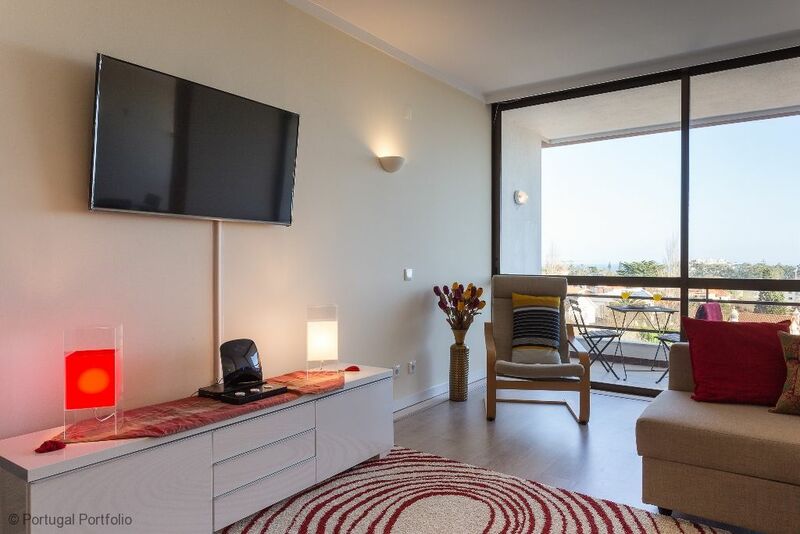 You may also enjoy the purpose built walking path along the ocean which goes along to the town centre (20 mins) via the marina (15mins) or you can enjoy a sunset stroll along the Guincho Beach Road and it stretches for miles along. You can ride your rented bike along here too and there are many many places to stop off at for a refreshment. A car is not needed unless you want to travel beyond Cascais. 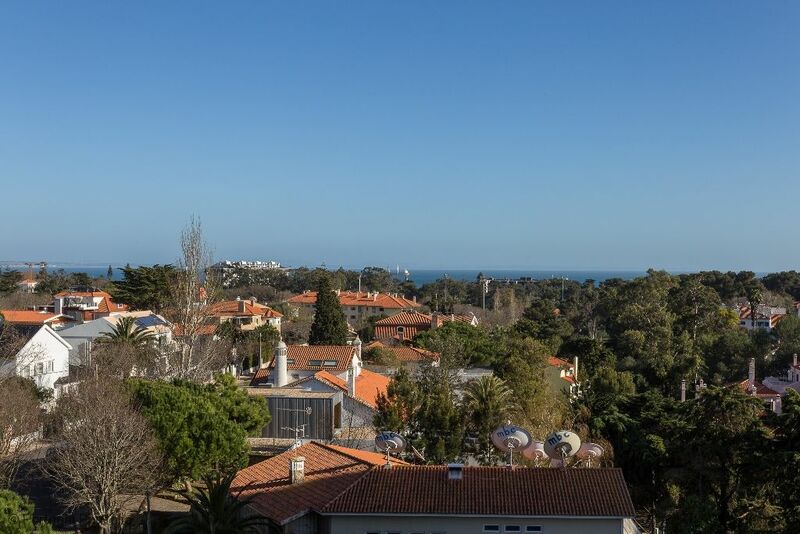 Otherwise you will find that several bus routes pass directly passed this location and further routes pass within 200-300m of here on the main roads out of Cascais centre. The private condominium has it's own private swimming pool. You have the local bus stop right outside of the apartment, and the bus will drop you outside the train station of Cascais. Train into Lisbon runs every 15 minutes along the coastline, a beautiful experience. Several International events take place in Cascais throughout the year. Visit our Facebook page and Blog for more information. 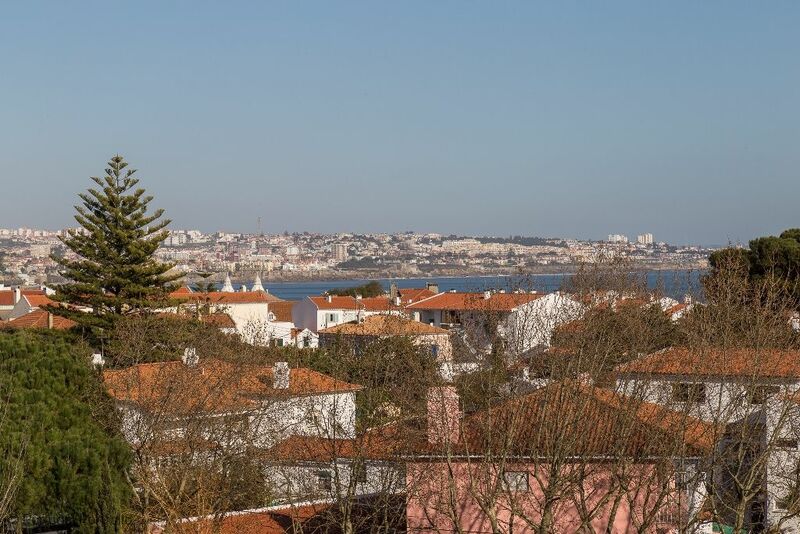 Ten minutes to walk to the Cascais Marina where you have a plethora of restaurants & bars. Just across the road is one of Cascais' most prestigious coffee shops, frequented by the locals as well as an international supermarket. With TelePizza on your doorstep, you would not have to go far for a “quiet evening in” after a hard days holidaying! 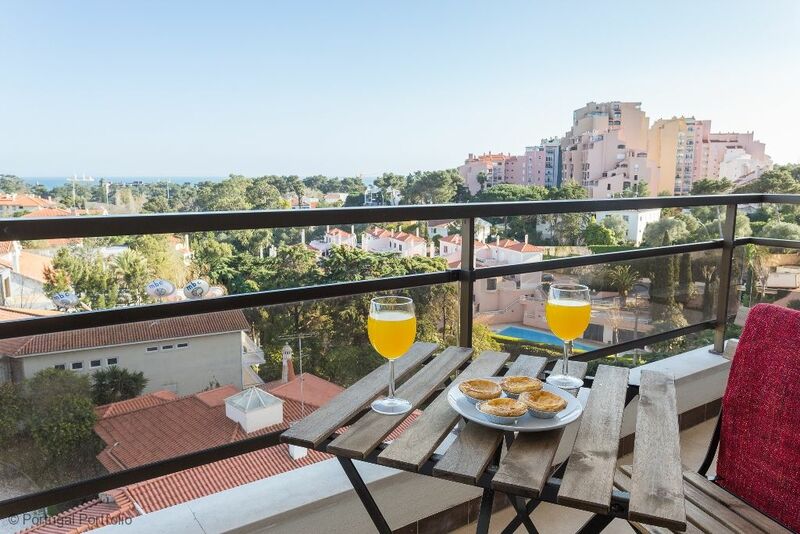 "I used the services of Property Portfolio Company team for our family holiday in Cascais in August 2018. The team were extremely helpful and informative throughout the enquiry, booking and stay process. I found all staff very helpful and anything we required was looked after. We were really made feel welcome and the entire team were so professional and polite. The apartment was beautifully presented, safe and secure and the pool was really quiet. 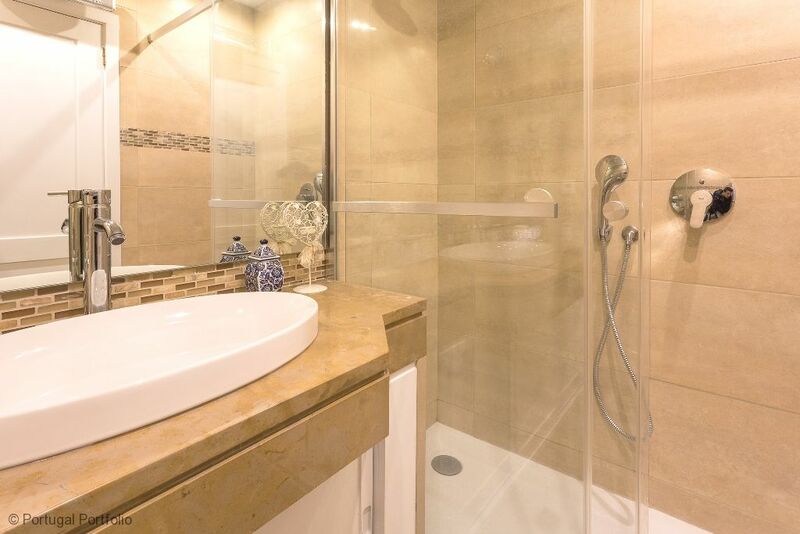 I would have no problem recommending this team for any property requirements. " 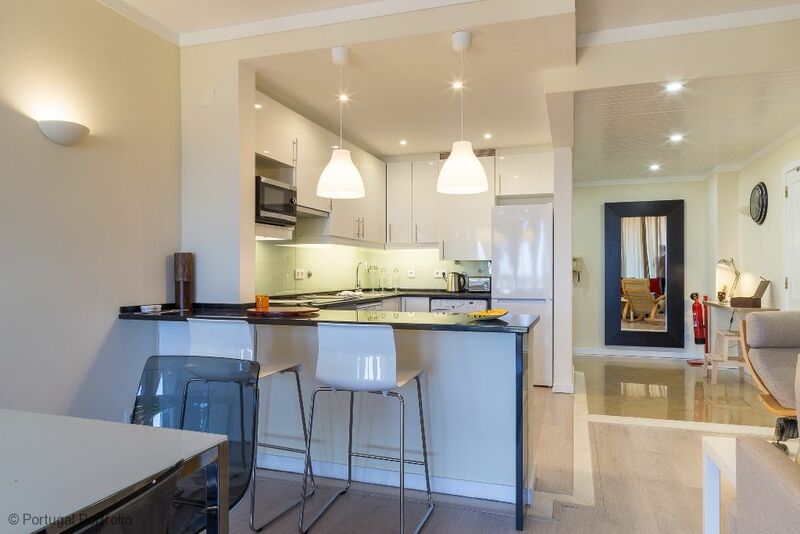 - Michael K.
This apartment is perfect for two couples. 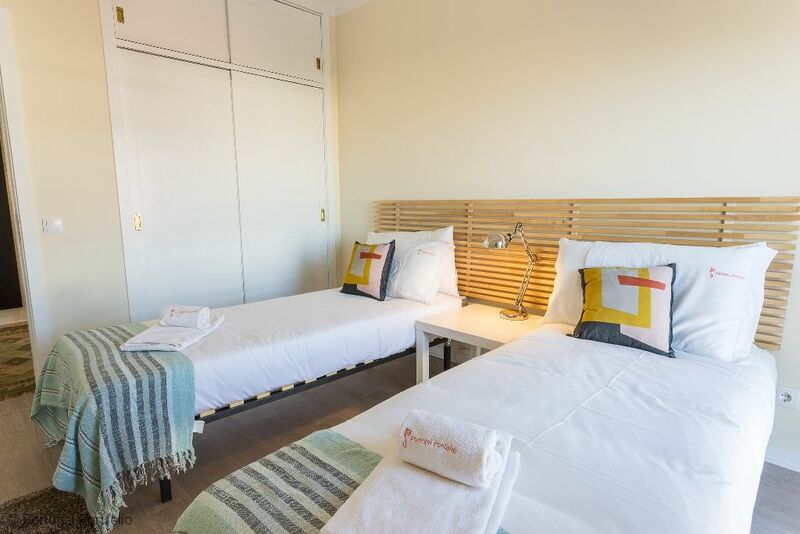 It is light and clean and very comfortable, with good space in all rooms, quiet bedrooms and a kitchen section with good equipment for home-cooking, meals, and washing. We enjoyed the modern and very comfortable bathroom. The view is broad, nice and inspiring with outlook to the ocean. All in all: We enjoyed our stay in the apartment and Cascais very much. The welcoming service from Cassie was a nice start for a good stay. We had a wonderful stay in the apartment and great experience renting through Portugal Portfolio and in dealing with Cassie. 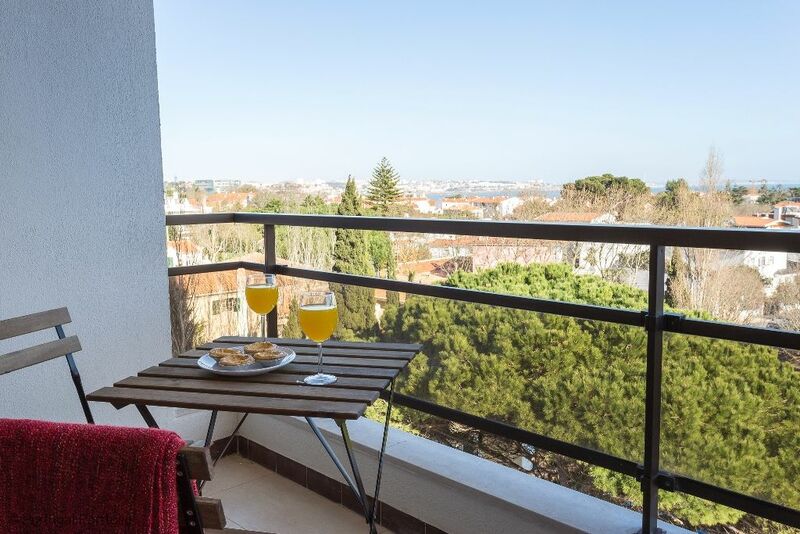 We had a very lovely time in the Cascais Panoramic apartment wb 16th Sept & would be happy for you to use any of the following as you wish. It's is a very comfortable 4th floor apartment, bathed in light from a south/ south easterly facing balcony, from which there are lovely views over the roof tops to the sea & horizon beyond , plus lots of sunshine morning to afternoon. 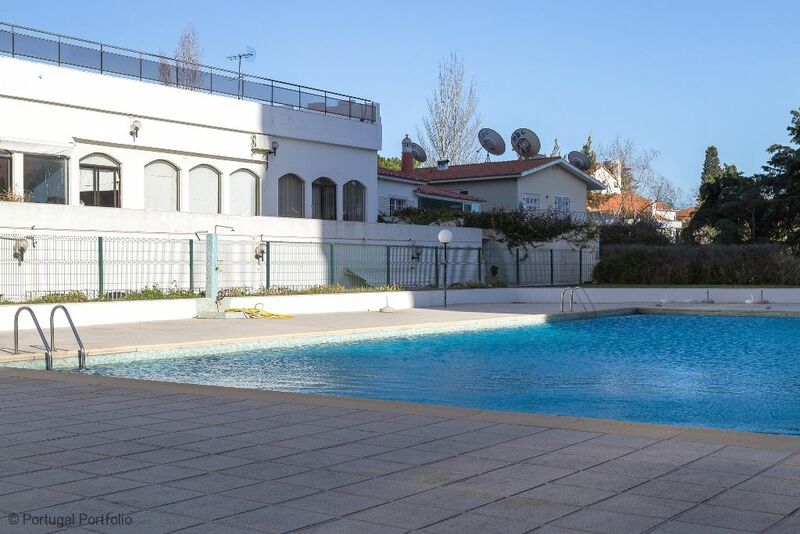 There is a lovely but under-used pool, although at first it doesn't look very welcoming & is not heated it's wonderfully refreshing in the Caiscais heat, & you are likely to have it to yourself, or at most, shared with a few others. A Smart TV means you can get plenty of international stations and more, though it would be helpful to have some more info about how satellite / sky channels on TV are accessed, as well as what there is. We had a very nice & informative welcome from Cathy who met us at the apartment on arrival , but did find the apartment hard to find in the dark. It would be useful if the initial pre-arrival info provided the name of the building & some landmarks to look out for. 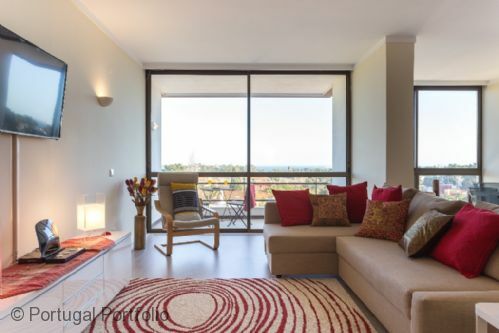 That said the location is excellent , just 5 minutes drive from Cascais, with local bus stops close to the apartment. Again it would be helpful if there was more info about the location of the bus stops & the various option re bus fares / travel cards in the helpful information folder that is provided . We enjoyed our 10 day stay in this apartment. 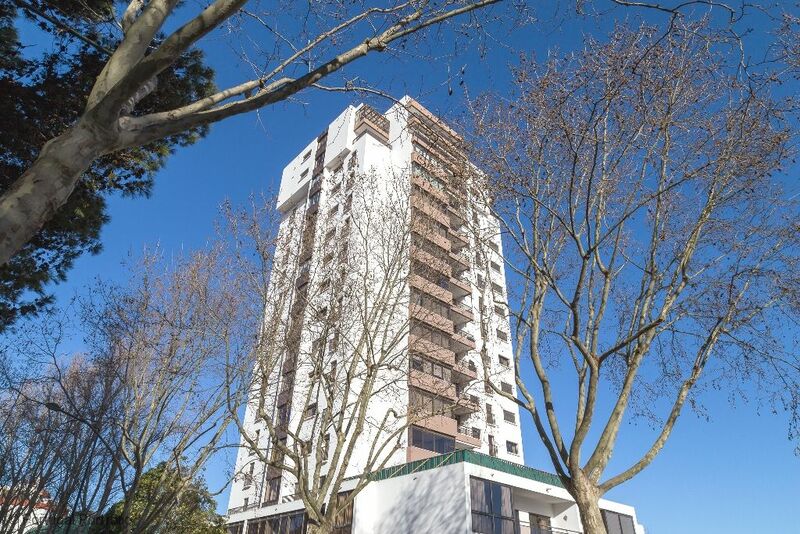 Great location - maximum 10 minute walk to Cascais centre. The Balcony has the sun all morning, perfect for watching the sunrise and eating breakfast. 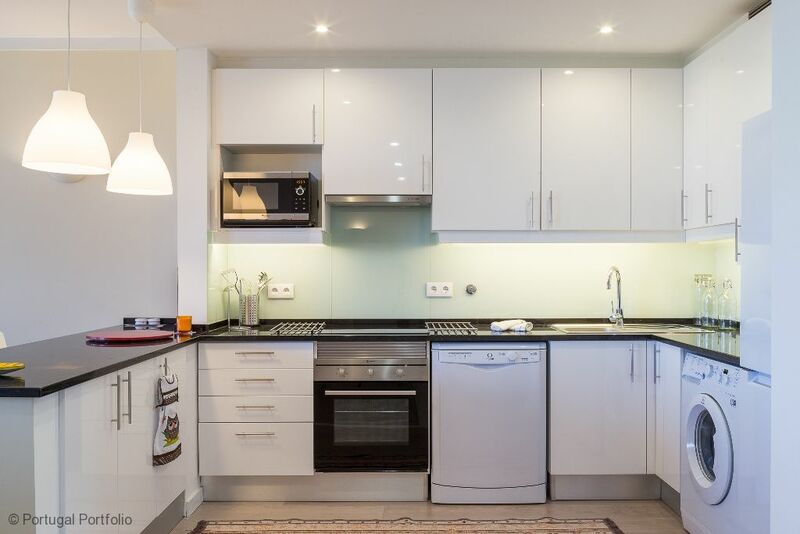 The apartment is well maintained and is relaxing and comfortable. A very pleasant stay. 'We had a lovely stay at the apartment - it was very clean, comfortable and a real pleasure to spend time there as it felt like home. It was well located and we had a fabulous holiday. We will certainly recommend your company as everyone has been so nice and helpful from the moment we made our made our first enquiry. On our arrival Cassie was extremely welcoming and nothing seemed to be too much trouble. We took our teenage son and his friend away for 10 days and this apartment suited us all. It is modern, clean and very comfortable. The location was good with easy access to the beach and town. 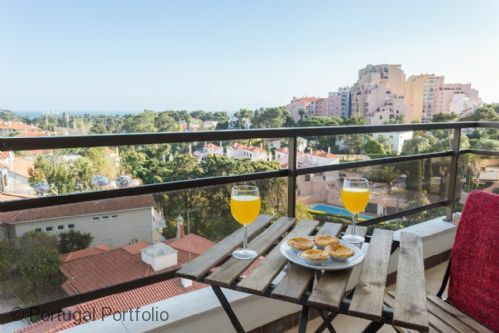 We would certainly recommend Portugal Portfolio as a company as everyone was very helpful and on the ball! !